Profhilo is the first stabilized hyaluronic acid (HA) based product which is manufactured without the use of chemical cross-linking agents (BDDE) and is used for skin remodeling and treating skin laxity. Profhilo is created using the NAHYCO™ Hybrid Technology that combines innovation and complete safety with the production of stabilized hybrid hyaluronic acid cooperative complexes formed through a patented thermal process. 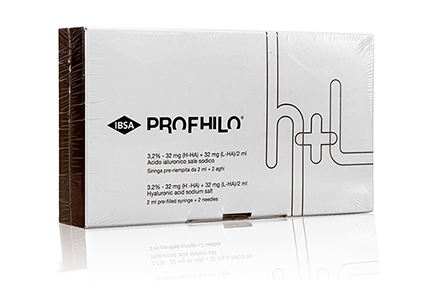 Profhilo® H+L is a stabilized hyaluronic acid (HA) based product which is manufactured without the use of chemical cross-linking agents (BDDE) and is used for skin remodeling and treating skin laxity, not for just filling lines and wrinkles. 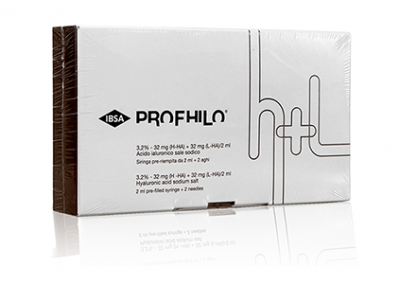 Profhilo® H+L is to be used in areas affected by skin laxity such as the malar and submalar areas of the face – cheek and jowls.